Through the years we have helped customers with their hot and cold tapping applications. We stock all the necessary tools to tap, drill and catch the core of the pipe section you drill. - You’ll start by using a drap (drill/tap) to make the initial centering thread. 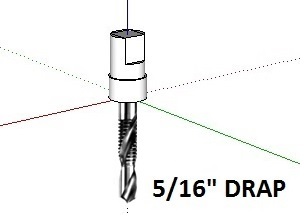 - Line up the Mag drill and drap cutter to make a 5/16” thread in the center of the future cut. - Next, you will replace the 5/16” drap cutter with the annular cutter. Now you can take the coupon holder and slide it inside the tool holder. - The coupon holder has a thread on the tip, it also is free spinning inside the extension shaft. 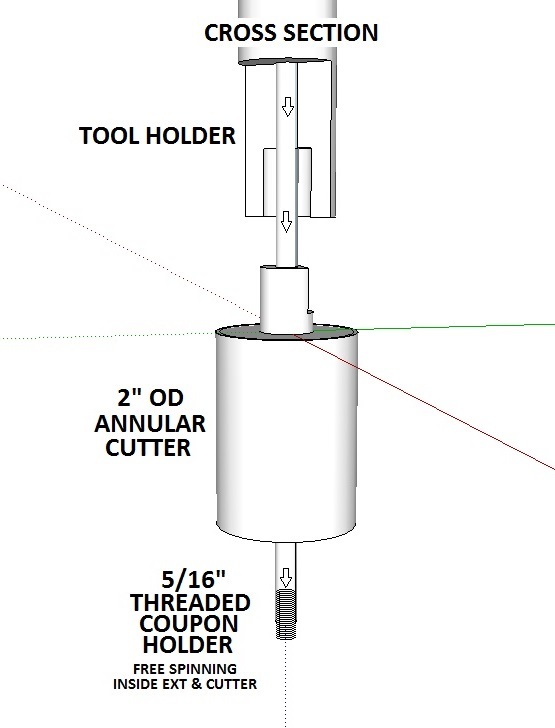 - Finally, with the coupon holder thread locked in place you can start with the mag drill, shaft extension and 2” annular cutter.